Karl Sminsky (Louis Zorich) interviews the four remaining agents from an original troop of 140 and tells them he only needs two for the mission - he pairs off Ivan (Patrick Sinclair) and Reet, and Nada (Doug Lennox) against Perov in a fight to the death. Somewhere in Canada, Barnoff (Yanci Bukovec) and Cresta (Jan Muzynski) find a secluded training ground in the grounds of an old mansion that's for sale; Cresta is ordered to buy it in time for the KGB agents' arrival. 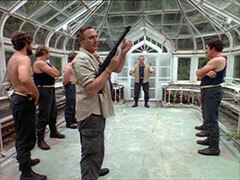 A week later, two Canadian security men (Rogers (Dwayne McLean) and Hartley (Michael Donaghue)) see Sminksy, Ivan and Nada arrive and start tailing them. Chuck Peters (Neil Vipond), head of security, meets the New Avengers in his office - they're on a 'working holiday' because of Sminky's arrival, Sminksy had vanished two years previously, rumoured to be on a training mission in Siberia and they want to know why he's turned up in Toronto. 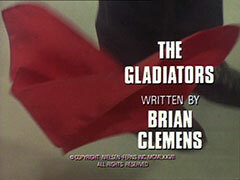 Rogers and Hartley see the KGB men pack cases into a car and set off in pursuit, but their radio is jammed near the end of the chase by their quarries. The Canadians are killed by the bare-fisted strength of Ivan and Nada while Karl smashes a window in contempt of Barnoff's apologies for no heating or air conditioning. Peters tells Steed of the disappearance of his men and they meet the Russian diplomatic attaché while Purdey and Gambit search the area the agents last radioed in from. 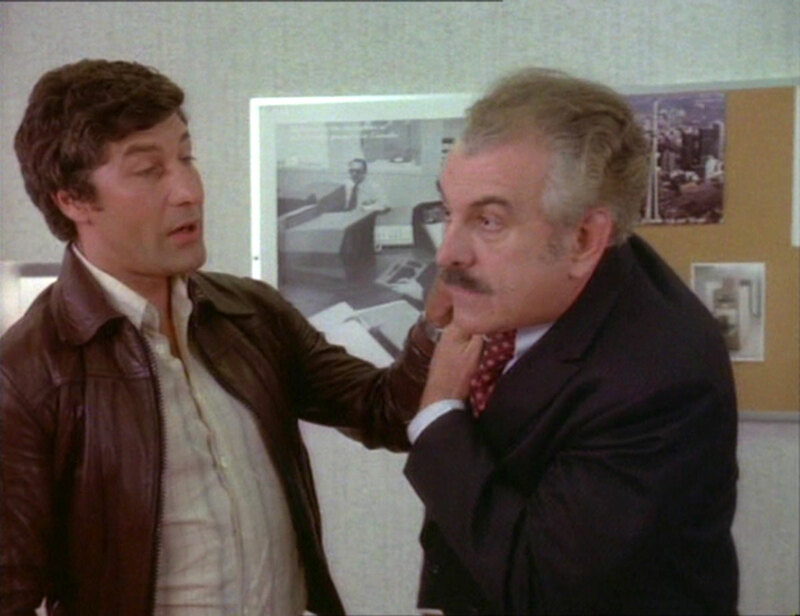 The attaché, Tarnokoff (Peter Boretski) arrives and greets Steed warmly, they're old friends, then delivers a formal protest regarding the supposed abduction of Sminsky and his aides. Peters counter-accuses and Steed smoothes the waters by making Tarnokoff realise Sminsky may be up to KGB business of which he hasn't informed the embassy. A carload of mercenaries passes Gambit and Purdey on their way to the mansion, Gambit half-recognising one. 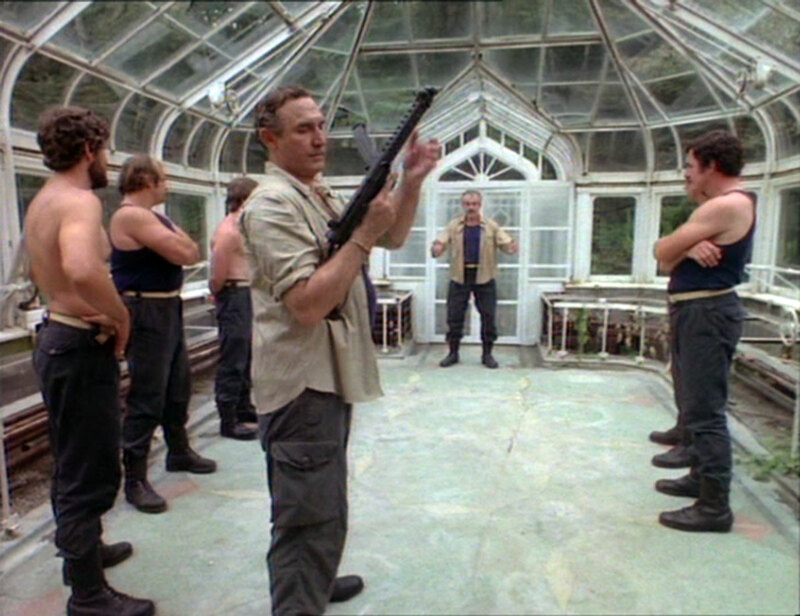 On arrival, one is dismissed as vain and stupid by Sminsky, and he orders another one of them, O'Hara (Bill Starr), to kill him - then instructs him on how to improve his technique. 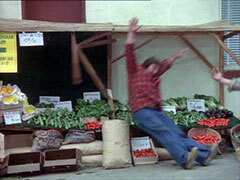 They have no knives, so Nada is sent with O'Hara to a nearby shop where they get into a fight with a huge man (George Chuvalo) and his redneck friend and knock them senseless. Gambit and Purdey see some police responding to the fight and follow. At the scene, they learn an apparent knife wound was made with a bare hand - and Gambit clicks it was Tom O'Hara with an unknown Russian. Purdey spots some carrion birds as they search the area, and they find the bodies of Rogers and Hartley. Sminsky is now demonstrating knives, and orders O'Hara to try to kill him - showing his flesh at least is not weak, as he fends off the dagger with his open palm, saying he will soon show how to evade a bullet. Peters tells Steed Sminksy is definitely linked with a terrorism training school in Russia, and that many undersirables on the security list have dropped out of circulation in Canada since Sminsky's arrival. Sminsky demonstrates deflecting bullets with his bare hands - super fast reflexes, not superman; then he receives a call from the Kremlin, ordering him to start his operation. Steed arrives at the same time as a cop who attended the shop and he joins them in investigating the houses in the area after realising the bodies have the same wound as the other victim. Sminksy leaves for town and the cop finds them bogged in a dirt track. He's killed by Ivan, who deflects his shots then flings him away like a paper doll. 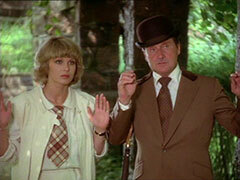 Gambit sets off after the car - taking the police car - while Steed and Purdey investigate where they came from. They're captured by Cresta and Barnoff suggests they be used as live targets, but Steed and Purdey promptly subdue the entire troop. Gambit cruises Toronto, trying to find Sminsky's car and finally locates it outside the security building, but the guards won't let him in with his gun so he's forced to surrender it. Steed and Purdey meanwhile listed to a recording of Sminsky telling his men they are their own weapons, able to tear thin steel like paper and twigs to the plot. Sminsky drifts away from his tour group, as do Nada and Ivan, who knock out the guard outside the computer room. Steed and Purdey are stopped by the same thick guard as Gambit was, but Steed coolly tells him if he wants to be here tomorrow, to call Peters. Gambit meets Peters and tells him Hartley and Rogers' killers are in the building, then spots O'Hara getting into a lift. Gambit knocks out O'Hara, who was clearing their getaway route. Sminsky is peeling the steel door open when the New Avengers and Peters arrive. Ivan knocks Peters out, but is overcome by Gambit, then they all combine to defeat Nada. Sminsky tells them they've defeated the students, but will not fare so well with the master. Steed laughs and tells him his technique only works with one projectile - he throws his bowler at him at the same moment as Purdey shoots and a final karate chop from Gambit subdues him. Purdey tells Gambit, "Nice fighting." Gambit tells her, "Nice shooting." Steed tells them both, "Nice holiday."